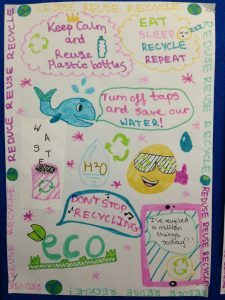 The Lea has a keen Eco Team consisting of representatives from Year 6. Representatives are elected by the pupils in Year 6 at the start of the academic year. 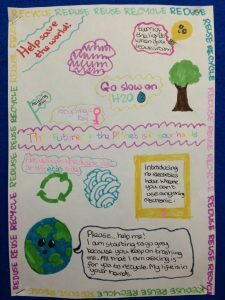 The Eco Team meets regularly to consider environmental issues such as litter and waste, healthy eating and biodiversity. In the past our Eco Team has led a ‘Christmas present recycling’ initiative and held an Eco Fashion Show. They are currently highlighting the Reduce, Reuse, Recycle initiative.